Three farms have already agreed to use it. Some people joke that they cannot live without their smartphones. But one California teen is working on an app that could literally save lives. As a child, Faith Florez often heard her family talk about the dangers of working long hours in extreme heat. As the climate warms, heat will pose an even greater risk to workers like her relatives. So Florez invented an app called Calor, which means heat in Spanish. When the temperature rises above ninety-five degrees Fahrenheit, the app will alert users and remind them to take precautions to stay safe. It will also provide a GPS-linked hotline to 911 for people to call if they show signs of heat stroke. Graduate students at the University of Southern California are now programming the app, and three farms have agreed to use it this summer. Florez says her app will give farm workers the information they need to stay safe while working in the fields. Image graphic: Created by David McCarthy. 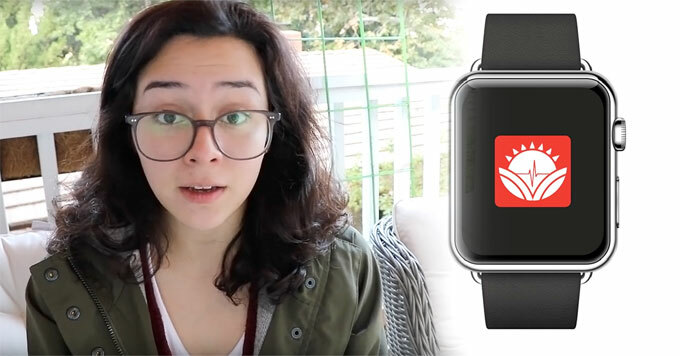 (Credits: Calor video screen capture of Faith Florez and Calor watch app website image).